This giveaway has ended. We will contact the winners soon. In the section below, you will find exclusive $400 gift cards. To be eligible for these prizes, you’ll need to complete all of the earns about reducing waste. Once you’ve completed them, come back here and you can enter for chances to win! To be eligible for these prizes, you’ll need to complete all of the earns about reducing waste. Once you’ve done them, you can enter for chances to win! The March 2019 Giveaway Sweepstakes (the “Sweepstakes”) is designed to raise awareness and participation in recycling to Recyclebank members. Recyclebank will choose the winner(s) of the Sweepstakes and award the prize(s) in accordance with these Official Rules (the “Rules”). The Sweepstakes begins at 12:00 a.m. ET on March 1, 2019 (the “Sweepstakes Start Date”) and ends at 11:59 p.m. ET on March 15, 2019 (the “Sweepstakes End Date”) (such period referred to herein as the “Sweepstakes Period”). Timing and schedule are subject to change without notice. The Sweepstakes is sponsored by Recyclebank, LLC (“Recyclebank”, or the “Sponsor”). In order to enter the Sweepstakes, you must agree to these Rules. These Rules form a binding legal agreement between you and Recyclebank with respect to the Sweepstakes. Any violation of these Rules may, at Sponsor’s sole discretion, result in disqualification. NO PURCHASE NECESSARY TO ENTER OR WIN. A PURCHASE WILL NOT INCREASE YOUR CHANCES OF WINNING. ODDS OF WINNING DEPEND ON NUMBER OF ELIGIBLE ENTRIES RECEIVED. To enter the Sweepstakes, the participant must a) currently be or become a Recyclebank member pursuant to the Recyclebank Membership Agreement (https://www.recyclebank.com/get-help/membership-agreement) and as detailed under Section 4 “Eligibility” of these Rules, and b) redeem at least one (1) Recyclebank Point for one (1) entry to each prize offered as part of the Sweepstakes during the Sweepstakes Period. Entries from multiple Recyclebank accounts by the same individual are strictly prohibited and upon discovery will disqualify that individual’s entries from all accounts. Recyclebank’s database clock will be the official timekeeper for entries in this Sweepstakes. Participation in the Sweepstakes is voluntary and does not require you to purchase anything from Recyclebank. The Sweepstakes is only open to legal residents of the United States. Entries are limited to individuals only; commercial enterprises and business entities are not eligible. By participating in the Sweepstakes, each participant accepts the conditions stated in these Official Rules, agrees to be bound by the decisions of the Sponsor and warrants that she/he is eligible to participate in the Sweepstakes, as applicable. Employees, independent contractors, officers, and directors of the Sponsor, affiliates, subsidiaries, advertising, promotion, and fulfillment agencies, legal advisors, and their immediate family members and persons living in the same household, are not eligible to participate in the Sweepstakes. THE SWEEPSTAKES IS VOID WHERE PROHIBITED OR RESTRICTED BY LAW and is subject to all applicable federal, state and local laws and regulations. First Prize: One winner will receive: Amazon.com Gift Card. Total approximate retail value of this prize is four hundred dollars ($400). Second Prize: One winner will receive: Home Depot Gift Card. Total approximate retail value of this prize is four hundred dollars ($400). Third Prize: One winner will receive: Apple Gift Card. Total approximate retail value of this prize is four hundred dollars ($400). Fourth Prize: One winner will receive: Best Buy Gift Card. Total approximate retail value of this prize is four hundred dollars ($400). 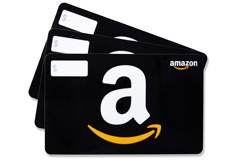 Fifth Prize: One winner will receive: Amazon.com Gift Card. Total approximate retail value of this prize is one hundred dollars ($100). 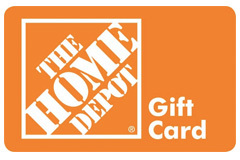 Sixth Prize: One winner will receive: Home Depot Gift Card. Total approximate retail value of this prize is one hundred dollars ($100). 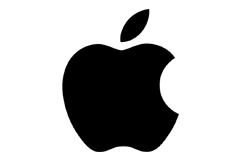 Seventh Prize: One winner will receive: Apple Gift Card. Total approximate retail value of this prize is one hundred dollars ($100). 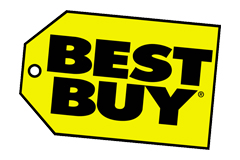 Eighth Prize: One winner will receive: Best Buy Gift Card. Total approximate retail value of this prize is one hundred dollars ($100). Ninth Prize: Ten winners will receive: One Twine Gift Card. Total approximate retail value of this prize is twenty-five dollars ($25). The odds of winning are affected by the number of eligible entries received for each prize by Recyclebank during the March 2019 Giveaway Period. All physical prizes will be shipped to each winner’s mailing address as reflected in Recyclebank’s records. Recyclebank will coordinate with each winner as it pertains to prize fulfillment; allow 3-4 weeks after validation of arrangement for coordination and receipt of prize. There is no substitution, cash equivalent or transfer of prizes allowed except where specified. Winners will be solely responsible for all other expenses not specifically set forth herein. Recyclebank reserves the right to substitute prizes of equal or greater value. No other substitution or transfer of prizes permitted. Recyclebank is responsible only for prize delivery; not responsible for prize utility, quality or otherwise. In order to receive a prize, winner may be required to provide proof of identification. Any and all taxes on any prize, including income and/or sales taxes, are the sole responsibility of the winners. However, Recyclebank may elect to cover all or a portion of such tax liability, in Recyclebank’s sole and absolute discretion. Recyclebank will conduct nine (9) separate drawings for each prize by selecting in each drawing at random a winner from all eligible entries on or about March 18, 2019 (the “Drawing Date”). Up to (5) five entries per hour, per prize are eligible to win. The winner of each drawing will receive his/her designated prize. The winners will be notified by e-mail and/or telephone using the information available to Recyclebank through each individual winner’s Recyclebank account. Such notification shall include instructions for proper acceptance of the prize. In the event a winner does not accept a prize or the prize or prize notification is not deliverable, Recyclebank will select another winner, at random, and notify as described herein. The Sponsor is not responsible for and shall not be liable for late, lost, misdirected or unsuccessful efforts to notify a winner. The winners each agree to Sponsor’s use (directly or through a license to a third party) of each of their name, likenesses, and/or prize information for promotional purposes in any medium without additional compensation to the extent permitted by law. Where lawful, the winners may be required to sign and return an Affidavit of Eligibility, Release of Liability, and Publicity Release (the “Release”). If any of the winners is a minor, the Release must be completed by the minor’s parent or legal guardian. There is no substitution, cash equivalent or transfer of the prize allowed except where specified. The winners of the Sweepstakes will be solely responsible for all other expenses not specifically set forth herein. Recyclebank reserves the right to substitute the prizes of equal or greater value. No other substitution or transfer of prize permitted. Recyclebank is responsible only for prize delivery; not responsible for prize utility, quality or otherwise. In order to receive the prize, the winner of the Sweepstakes may be required to provide proof of identification. Any and all taxes on any prize, including income and/or sales taxes, are the sole responsibility of the winner. The Sponsor, and its respective agents, directors, officers, shareholders, employees, insurers, servants, parents, subsidiaries, divisions, affiliates, predecessors, successors, representatives, advertising, promotion, and fulfillment agencies, and legal advisors (the “Released Entities”), are not responsible for, shall not be liable for, and hereby disclaim all liability arising from or relating to: (i) telephone, electronic, hardware or software program, network, Internet, computer or other malfunctions, failures, or difficulties of any kind, whether human or technical; (ii) failed, incomplete, garbled, or delayed computer or e-mail transmissions; (iii) any condition caused by events beyond the control of the Sponsor; (iv) any injuries, losses, or damages of any kind arising in connection with or as a result of any prize, or any portion thereof that may have been awarded, or acceptance, possession, or use of any prize, or any portion thereof that may have been awarded, or from participation in the Sweepstakes; or (v) any printing or typographical errors in any materials associated with the Sweepstakes. The Sponsor reserves the right, in its sole discretion, to suspend, modify or cancel the Sweepstakes or any component of the Sweepstakes should any unauthorized human intervention or other causes beyond the Sponsor’s control corrupt or affect the administration, security, fairness or proper conduct of the Sweepstakes. In the event that proper administration of the Sweepstakes is prevented by such causes as contemplated above, the Sponsor will determine the winners from all eligible, non-suspect entries prior to such action. By participating in the Sweepstakes, participants and the winners agree to release, discharge and hold harmless the Released Entities, and all others associated with the development and execution of the Sweepstakes, from any and all losses, damages, rights, claims and actions of any kind arising out of or relating to the Sweepstakes, participation in the Sweepstakes, any prize, or any portion thereof that may have been awarded, and/or acceptance, possession, use or misuse of any prize, or any portion thereof that may have been awarded, including but not limited to statutory and common law claims for misappropriation or participant’s right of publicity. This Sweepstakes shall be governed by New York law. By participating in this Sweepstakes, participants agree that New York courts shall have jurisdiction over any dispute or litigation arising from or relating to this Sweepstakes and that venue shall be only in New York, New York. IN NO EVENT WILL SPONSOR BE RESPONSIBLE OR LIABLE FOR ANY DAMAGES OR LOSSES OF ANY KIND, INCLUDING DIRECT, INDIRECT INCIDENTAL, CONSEQUENTAL OR PUNITIVE DAMAGES ARISING OUT OF YOUR PARTICIPATION IN THE SWEEPSTAKES AND YOUR ACCESS TO AND USE OF INTERNET SITES WWW.RECYCLEBANK.COM, OR OTHER SPONSOR INTERNET SITES. WITHOUT LIMITING THE FOREGOING, EVERYTHING ON THIS SITE IS PROVIDED “AS IS” WITHOUT WARRANTY OF ANY KIND, EITHER EXPRESS, OR IMPLIED, INCLUDING BUT NOT LIMITED TO THE IMPLIED WARRANTIES OF MERCHANTABILITY, FITNESS FOR A PARTICULAR PURPOSE, OR NON-INFRINGEMENT. THESE LIMITATIONS OR EXCLUSIONS DON’T APPLY WHERE PROHIBITED BY LAW. To obtain the first name and last initial of the Sweepstakes winner after the Sweepstakes End Date, send a separate self-addressed, stamped envelope marked “March 2019 Giveaway Winners” to the Sponsor. Requests for identification of the winners must be received no later than ninety (90) days from the Sweepstakes Period End Date (residents of Vermont and Washington need not include return postage). The Sponsor reserves the right to prosecute and seek damages against any individual who attempts to deliberately undermine the proper operation of the Sweepstakes in violation of these Official Rules and/or criminal and/or civil law. Copyright © 2019 Recyclebank, LLC. All rights reserved. Recyclebank and the associated logos are trademarks of Recyclebank, LLC. Any other trademarks in these Official Rules are used for prize identification purposes ONLY and are the properties of their respective owners. Anyone is welcome to enter for $25 or $100 gift cards. For the $100 gift cards, they’ll cost you 10 points per entry. 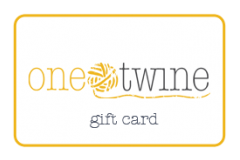 $25 One Twine gift cards will only cost you 5 points, and we’ll be selecting 10 winners for those. Want to win even bigger prizes? Click the arrow to find out how. We’re also offering exclusive $400 gift cards. To be eligible for these prizes, you’ll need to complete all of the earns about reducing waste. Once you’ve done them, you can enter for chances to win! The giveaway closes on March 15, 2019 at 11:59pm EST. After that time, winners will be randomly selected and contacted shortly thereafter.